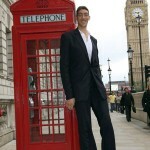 The tallest man in the world today (year 2009) is Sultan Kosen recently discovered by Guiness World Records. Sultan Kosen’s height is 8 foot 1 inches tall. He beat Bao XiShun – a mongolian who recently hold the record of the World Tallest Man in Guiness World Records. Bao XiShun stands 7 foot 9 Inches Tall. He beat Leonid Stadnyk – a Ukrainian who claims that he is 8 foot 5 inches tall. Bao XiShun(7’9″ tall) won over Leonid Stadnyk (8’5″ tall) because the Ukrainian refused to Guiness World Records to be measured. 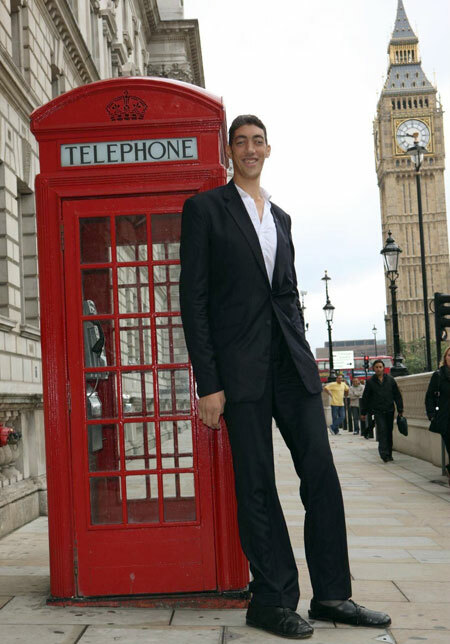 Sultan Kosen is the world tallest man today but he’s still not the World Tallest Ever in history. He would still look upward to Robert Pershing Wadlow – the World tallest man ever who walked the earth. Robert Wadlow’ height was 8 foot 11 inches tall. He lived at Alton Illinois from 1918 to 1940. Robert Wadlow died because of faulty leg brace which causing a large blister which then led to major infection. Yes, Many say that maybe his real height is from 7″6′ to 7″9′ tall. I also read from one comment on youtube that Leonid Stadnyk also refused to stand next to Yao Ming because according to the commenter Leonid was so embarassed towering over one of the tallest player in NBA but the real reason is that Stadnyk seemed to be afraid because Yao Ming seems to be taller than him. 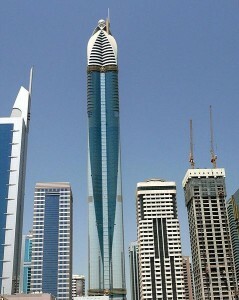 Hi, How Tall really is Leonid Stadnyk ? i saw the video of Leonid Stadnyk on youtube, i just wondering if he really stands 8 foot 5 inches tall because the lady beside him in the video stood a little way under his shoulder. If Leonid Stadnyk really stands 8″5′ then that woman must be approximately 7″3 footer, but it seemed that the woman on the video only stood 5 foot 11 inches tall. So Leonid Stadnyk must not be that tall. I think he’s only about 7″6 or as tall as Yao Ming of NBA. hahaha, that would be really scary & funny if you saw Robert Wadlow in the middle of the night and you’re alone. He stood almost 9 feet tall. if that happens to me i will also run at 120 mph or even faster. haha. I just want to give you some kudos for exerting effort in posting this entry and in coming up with this. I’m looking forward to more of your blogs.